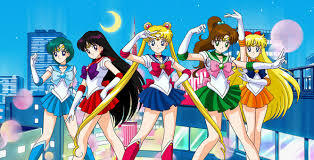 When I was younger, I never missed a Sailor Moon episode on Toonami. After school I would park myself in front of the television, pull my blonde hair into high pigtails,and sing along loudly to the catchy theme song. Even during a commercial break, I was a sucker for the “Sailor Says” segments. 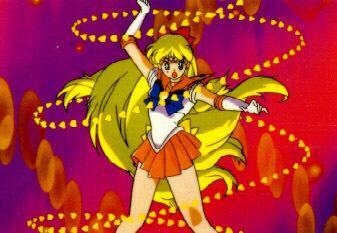 As a young viewer, I was obsessed with Sailor Venus and longed to emulate her charm, talent, beauty. Guys liked her, girls wanted to be her, and the monster of the week ran in terror from her fearsome Venus Love Me Chain attack! Today, I see a bigger and better lesson to be learned: there is great power in being yourself! Everyone has moments when they are the clumsy girl, the shy girl, the lonely girl, or the crybaby. In reality, I am all of those girls! Aren’t we all? Those struggles are what make the characters so relatable. Each episode shows us the Sailor Scouts embracing their flaws, celebrating their strengths, and winning their battles with the power of true friendship. If a show ever taught me the meaning of #SquadGoals, it would definitely be this one! As a twenty-something, it’s so refreshing to watch these complex and powerful female characters collaborating for the good of the universe. How’s that for an amazing goal? And (SPOILER ALERT) let’s just take a moment to consider how many times in the series the senshi have died and come back to fight all over again! Much like real life, there is always conflict, yet the Sailor Scouts consistently tackle their obstacles with grace and determination. Sailor Moon teaches us that while life may not always be easy, we can find our inner strength and ultimately win our battles with courage, friendship, and love.